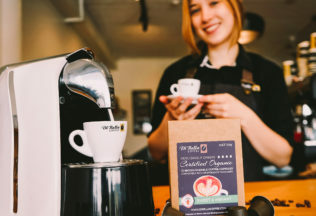 Di Bella coffee has launched a line of coffee capsules which biodegrade within 180 days in regular landfill. The capsules are made only from biodegradable materials including fibres, starch, proteins, lipids and additives of natural origin. They can also be used in Nespresso machines. Di Bella founder, Phillip Di Bella, said the capsules answer consumer demand for eco-friendly coffee options. “Our customers love the convenience of coffee capsules and that they save them time and money, but are becoming concerned with the effects capsules are having on the environment,” he said. The Retail Food Group acquired Di Bella in November 2014.